Manual pages are the most important documentation sources for developers. 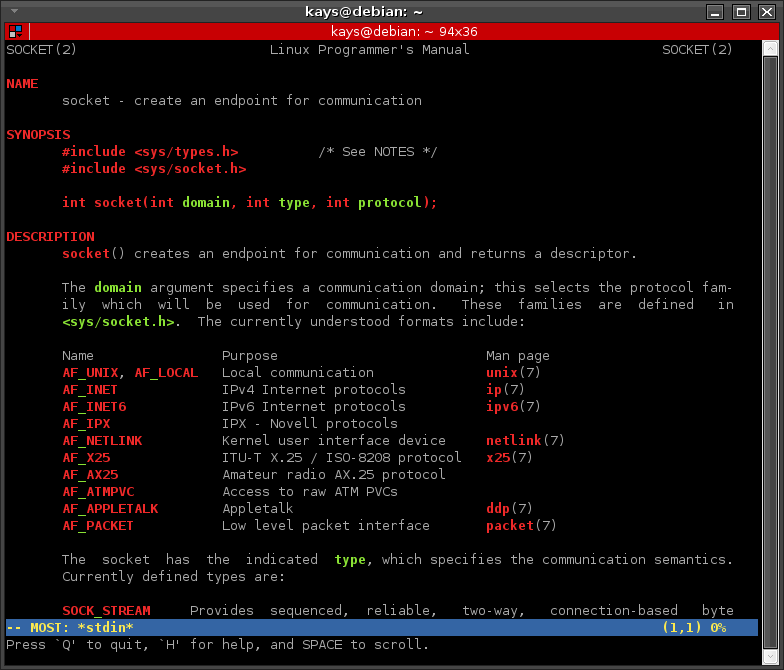 They are not useful only for linux commands but also for c/c++ functions and structures ever for kernel source codes'. 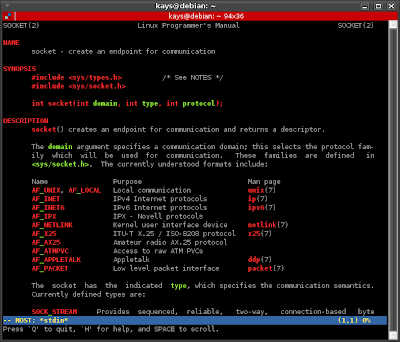 In almost every linux distribution, pager is linked to "less" by default so that when an application needs to show output page to page on terminal, "less" is used. However "less" does not give a colorful output. If you want to see pages colorful which makes more readable, you can use "most" for that. Link your "pager" to the "most" instead of "less". Current 'best' version is '/bin/less'. Now test your pager. Below is "socket" function manual page.